My wife and I had a “spirited discussion” recently about whether to replace our functional, 20+ year old living-room set with something newer and more stylish. Our positions were somewhat predictable – she felt strongly that it was time to update, while I was of the mind that although the set was aging, it was still quite comfortable and continued to give us very good value. As we prepare to present the annual DDIFO National Conference at the end of this month, that “discussion” came to mind as something metaphorically illustrative of DDIFO. Since it was founded at the suggestion of Dunkin’ Founder Bill Rosenberg, DDIFO has served the Dunkin’ franchisee community very well. There are many reasons why it is a good deal for franchisees—perhaps none more than the fact it maintains an independent status from the Brand. Now at 28, DDIFO has not only aged well, but it is stronger, deeper and broader than ever. The National Conference is another great example of how DDIFO continues to deliver exceptional and franchise-relevant value. Our keynote speaker is a successful QSR chief executive, who will talk candidly about the franchisee/franchisor relationship. 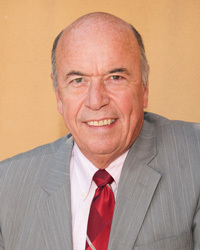 Don Fox, like Rosenberg, helped franchisees establish their independent association. It should be a valuable speech. Again this year, DDIFO is offering an unvarnished view of the Wall Street perspective from two experts who follow the restaurant sector closely. Getting that insight directly from people who live it on a daily basis is a value one can’t easily replace. In 2016 and 2017, Dunkin’ sought to make unilateral changes to some of its franchise documents – your franchise agreement last year and the agreement covering central production locations (CPLs) this year. We’re going to examine the fallout from the agreement the Brand has been offering to central kitchens around the footprint. 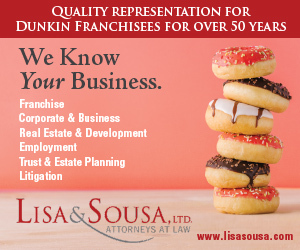 This vital information came to the attention of franchisees because DDIFO retains Carl Lisa as its general counsel and keeps a very close watch on changes that impact the franchisees. A record of value and quality service such as DDIFO enjoys really stands out – and it breeds more quality and more value for our members. Toward that end, I am thrilled that so many wonderful companies want to be included in our Franchise Solutions Marketplace at the National Conference. 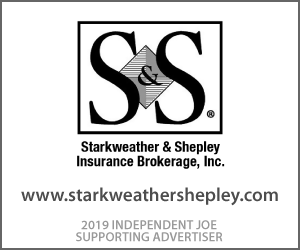 In fact, more sponsors have signed on this year than ever before—which means more value for our members who get an up-close-and-personal view of a multitude of products and services. I’m glad that our members count on us to have their backs and give them an independent forum to discuss issues that directly affect how they run their businesses and harvest their equity. In fact, that’s why we’ve developed and launched the DDIFO IdeaXchange – to serve as a vehicle for members to privately discuss those issues amongst themselves and help each other develop best practices. It’s just the latest example of added value for DDIFO members. I know not everyone will be supercharged about getting to meet former NFL quarterback Steve Grogan, but I am guessing our New England contingent will enjoy the chance to chat with Number 14 (he wore that number his entire career as a member of the New England Patriots) and take a picture with the New England Patriot Hall of Famer, or get an autograph. Heck, even some New York fans will put their partisanship aside and join in, I’m sure. Oh, and did I mention we are having the President’s son, Eric Trump, at the National Conference? Yes, that’s right. I invite you to read through these pages to learn more and I look forward to seeing you at Foxwoods.